If you fancy giving your heart a little exercise without employing too many other muscles in the body, sit down and read this short novel. It’s tense and a sense of impending doom is saturated in each page. And things start to happen. That’s when your heart will stop, start again, leap and leap again. With very lean prose over 275 pages, Rector packs in a tumult of events to reach a violent climax. 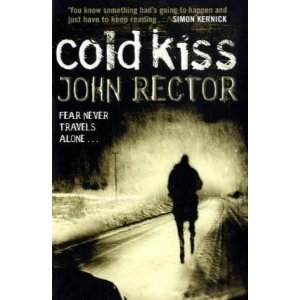 For a thriller Cold Kiss is not shallow and simply about the chase. Here, we get to know Nate and Sara, understand their innocence and aspirations, be close to the extraordinary events they are forced to deal with, and to root for them. Their journey is to hell, but can there possibly be a ‘back’? If you haven’t felt your heart jump into your throat for some time, you will with this one. 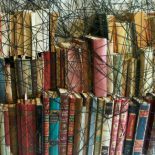 From the author’s blog: this novel has been optioned for a feature film and is currently in development. I am not surprised. This entry was posted on August 7, 2011 by crimeficreader in Books.